Disney Princess Magic Rise Kitchen is on sale at Toys R Us for only $19.99, and with Free In-store pickup. The original list price is $59.99, so a huge saving. Offer ends May 30th. The set works with all Magic Rise toys and is designed to easily fit with the Disney Princess Magic Rise Oven (sold separately). 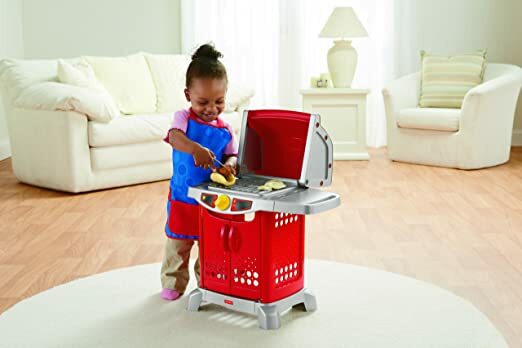 Fisher-Price Grill Playset is on sale for $17.99. Shipping is free with Prime or if you spend $35 or more. Includes Fisher-Price Grill, Hot Dog (Plastic), Fish (Plastic), Set of Tongs. 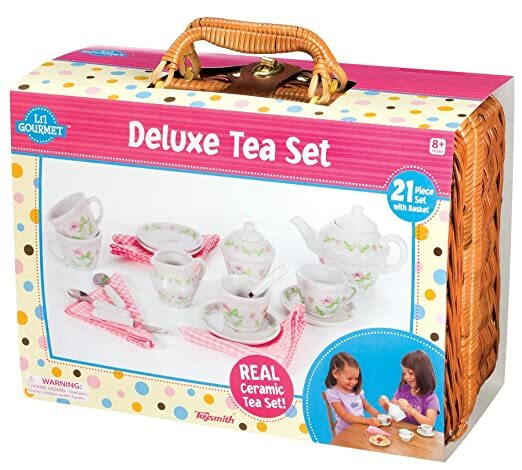 Deluxe Ceramic Tea Set with Basket 现在降价后 for just $17.17 (reg. $34.99!) on Amazon. This is the biggest price drop this set has taken and appears to be the lowest price around. 这个作为女孩子的生日礼物也是很不错的。 This will also ship FREE with a Super Saver Shipping order of $35+ or get FREE 2-day Shipping (no minimum!) with Amazon Prime. 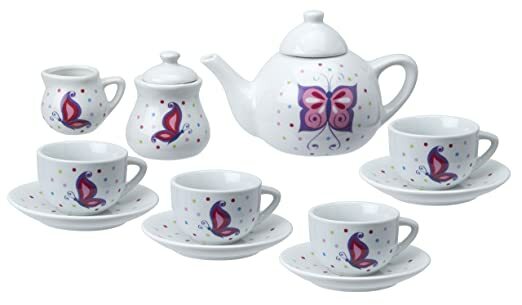 This highly rated ALEX Toys Chasing Butterflies Ceramic Tea Set, now is marked down to just $14.56 (reg. $24.99) on Amazon! Plus, get FREE Shipping on an order of $35 or more OR snag FREE 2-day shipping (no minimum!) with Amazon Prime. 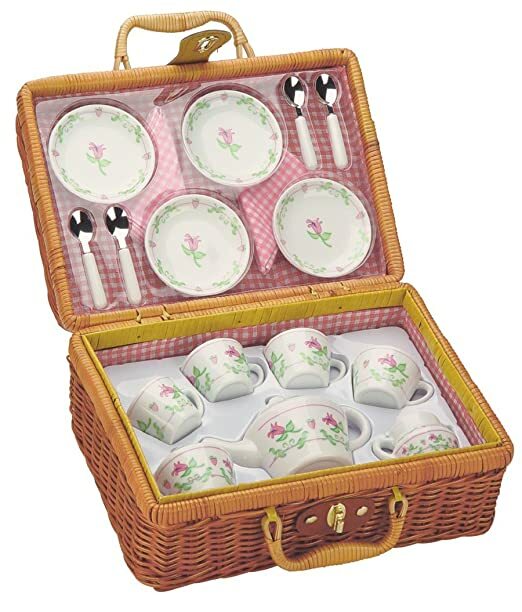 This 13 piece service is made of high quality ceramic and is decorated with a beautiful butterfly theme. The set includes 4 teacups, 4 saucers, tea pot with lid, sugar bowl with lid and creamer. Recommended for children 8 years of age and older. This highly rated Hape My Creative Cookery Club Wooden Kitchen Set 小孩子们玩过家家的 toy 厨房， 现在降价 for only $69.43 shipped (reg. $129.99). 这套厨房玩具是木制的， 包括了 cooking sets, wood toy food, and more. Amazon has dropped the price of this KidKraft 2-Piece Retro Kitchen in blue to just $104.39 shipped (regularly $206.99). This does appear to be the best price around. The KidKraft Blue Play Kitchen comes with a refrigerator, freezer, oven and dishwasher that all open and close. Also this Melissa & Doug Stir and Serve Cooking Utensils Set 降价 for only $8.47 (regularly $12.99). 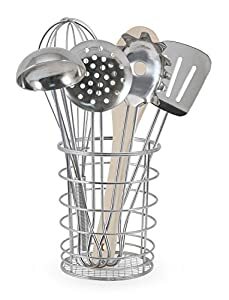 It comes with six utensils and a holder basket! 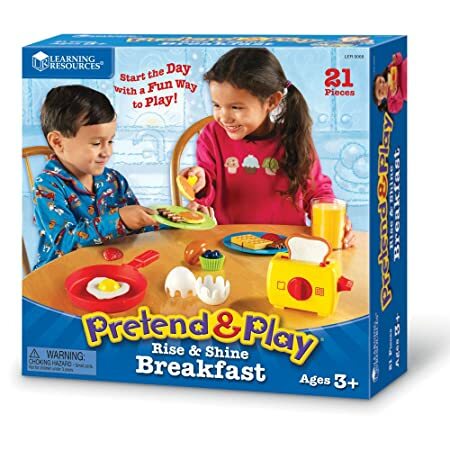 Amazon.com now they are offering up this Step2 Best Chef’s Play Kitchen Set for only $54.78 shipped (regularly $79.99). 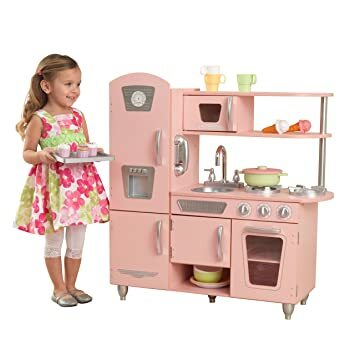 This Step2 Play Kitchen includes a 25-piece accessory set so your kiddos can cook up plenty of pretend meals – the oven and refrigerator doors open and close and the knobs on the stove top make clicking noises just like a real stove! There is plenty of storage space, with hooks for hanging cups and utensils, plus there’s even a recycling bin! 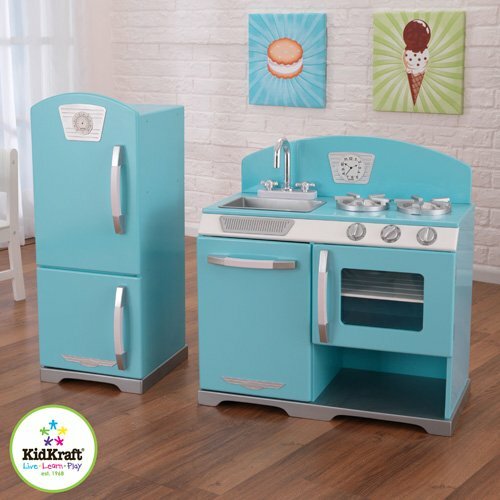 Target.com now you can get this Kidkraft Blue Retro Kitchen and Refrigerator for just $106.24 shipped! 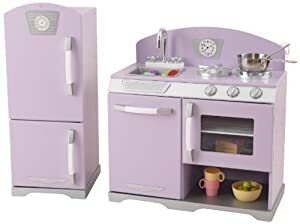 OR, you can get this KidKraft Retro Kitchen Refrigerator in Lavender for just $107.55 shipped on Amazon! These KidKraft Play Kitchens come with a refrigerator, freezer, oven and dishwasher that all open and close. 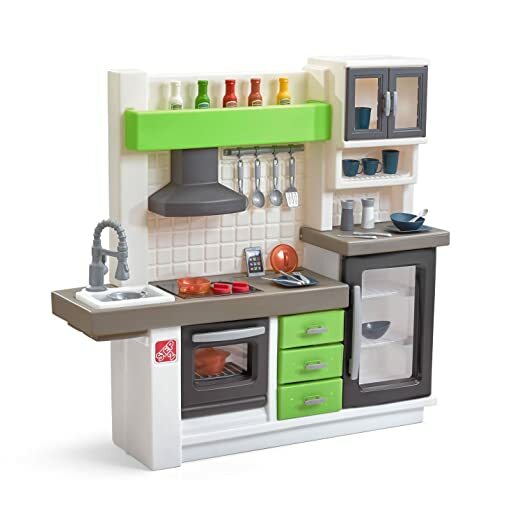 Walmart.com now is offering some great deals on KidKraft Kitchen Bundles! KidKraft Uptown Espresso Kitchen w/ Play Food AND Espresso Baking Set for just $129.72 shipped (regularly $156+). 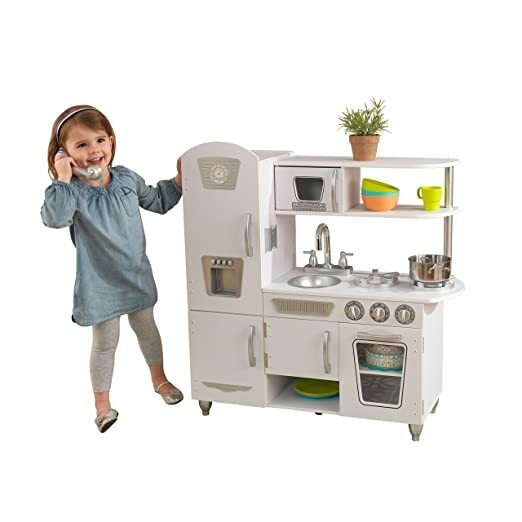 The Espresso Kitchen features working doors and knobs, a chalkboard surface on the freezer and was a 2016 Toy of the Year! The bonus Espresso Baking Set includes the cutest little mixer, a cookie sheet, a rolling pin and even cookies! 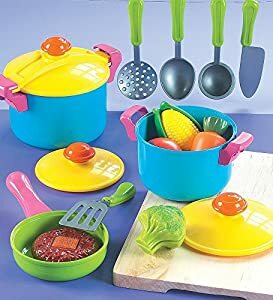 Amazon.com now you can get this highly rated Green Toys Dish Set for just $10.64 (regularly $19.78). These dishes are made in the U.S.A. from 100% recycled plastic milk containers, free of phthalates, PVC, and BPA and are easy to clean and dishwasher safe. 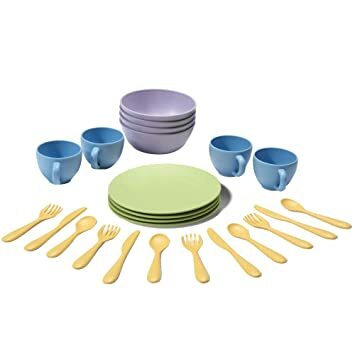 The set includes 4 cups, 4 plates, 4 bowls, and 4 place settings with a fork, knife, and spoon. 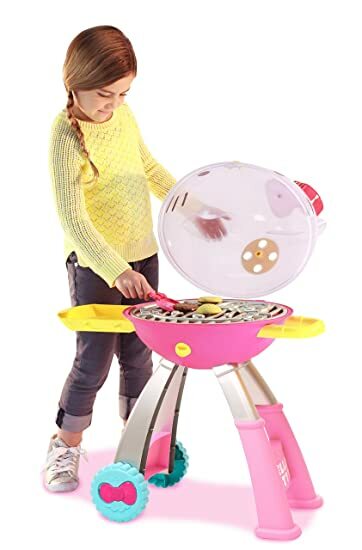 This toy grill includes light up charcoal, lighter, 2 grates, tongs and various food accessories such as T-bone steaks, shrimp, salmon, onion, tomato and pepper! 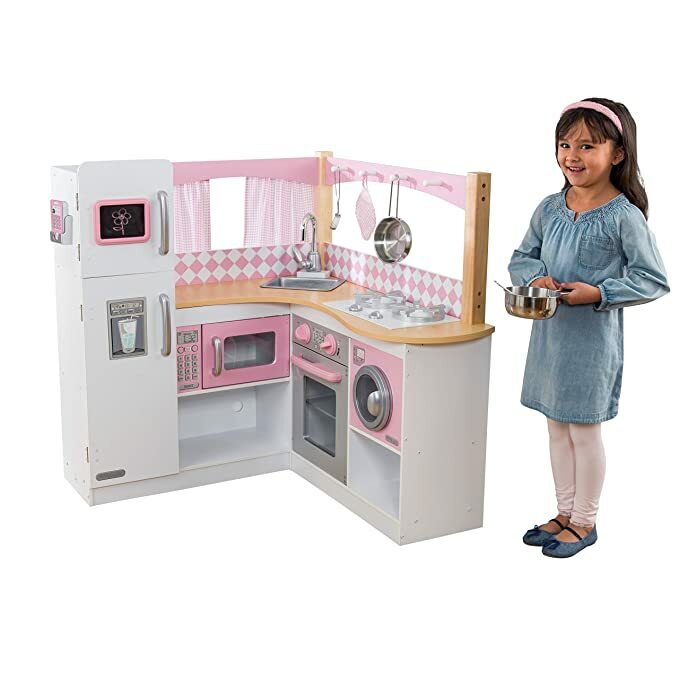 Walmart.com now you can get this Disney Princess Magical Play Kitchen for only $26.95 (regularly $60)! Choose free in-store pick up. This play kitchen includes play food, salt & pepper shakers, a frying pan, mixing spoon, and spatula. It also features bubbling and sizzling sounds effects when the pan is placed on the stove to make cooking feel even more realistic! 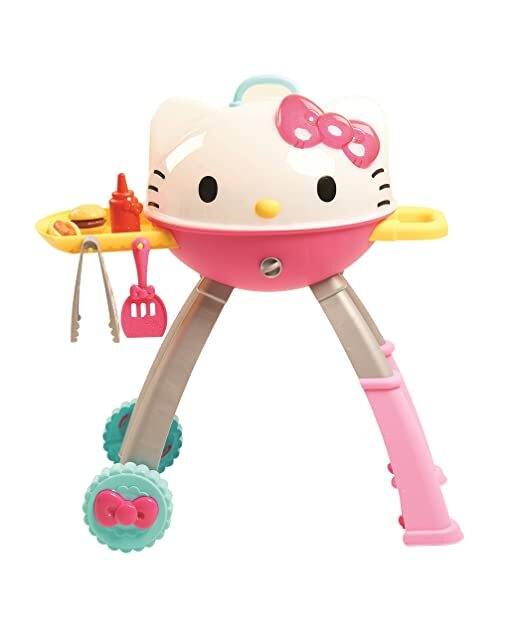 Amazon now you can get this Hello Kitty Grill for just $16.98 (regularly $39.99)! This seems like a great price as Walmart has this same grill set priced at $28.33. 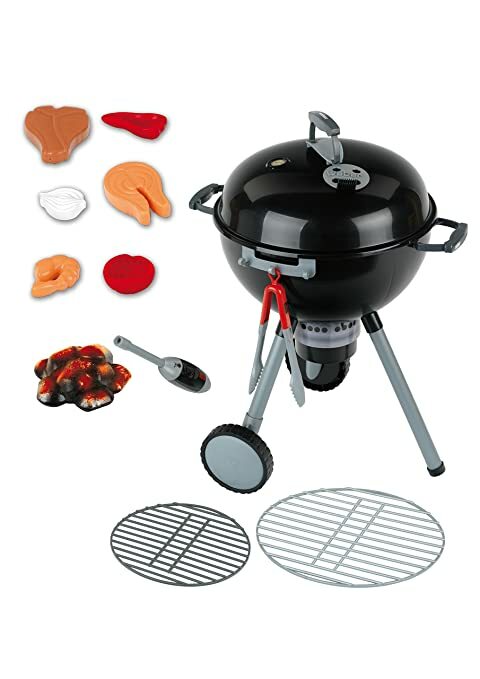 This grill play set perfect for kids ages 3 years and older, comes with a 10-piece accessory kit and has light up charcoal and realistic sizzling sound effects. Walmart.com where they are hosting a Pre-Black Friday Deals sale! 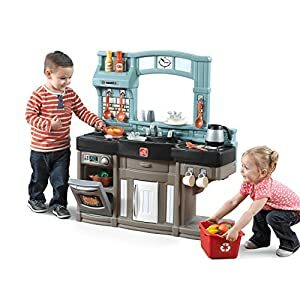 American Plastic Toys Deluxe Custom Kitchen with 22 Accessories – This is on their list of Black Friday Deals!!! Only $35 shipped! 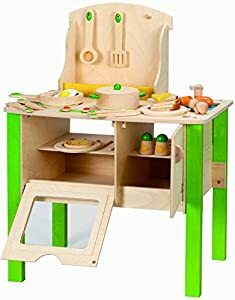 Today, November 22nd only, Amazon.com get up to 50% off Hape Wooden Toys including pull toys, play kitchens, games and more. 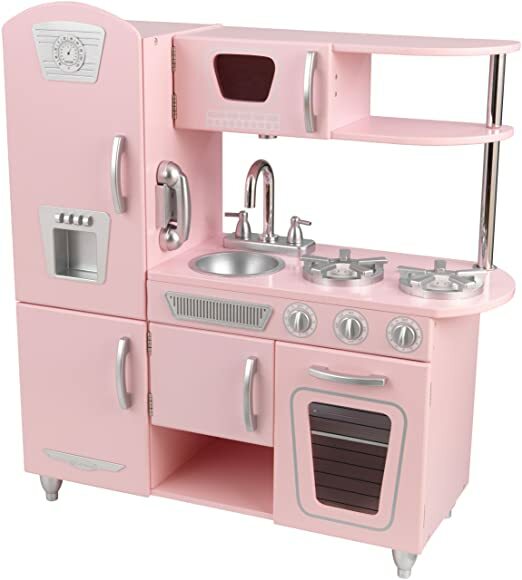 Amazon now get this KidKraft Vintage Play Kitchen for $97.99 shipped. This highly rated kitchen is made from sturdy wood, and has everything an aspiring chef needs to discover how a kitchen works. 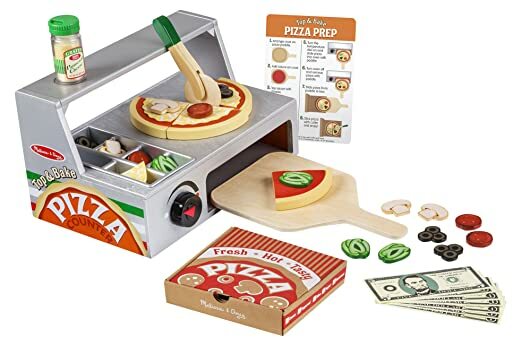 On Walmart.com now you can buy this Step2 Teenage Mutant Ninja Turtle Pizza Kitchen for only $59.99 shipped (regularly $90.99). On Amazon.com you can now buy this Real Cooking Ultimate Princess Baking Set for only $14.56 (regularly $49.99). 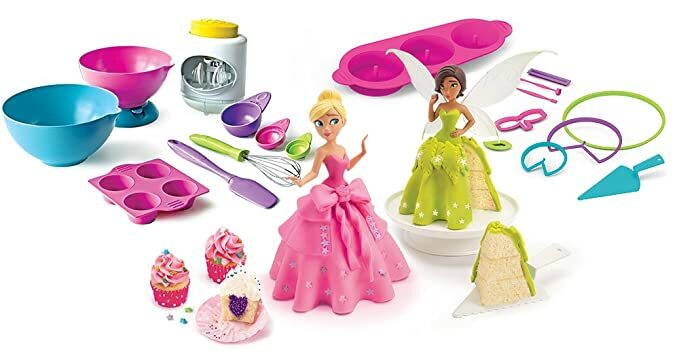 Available exclusively on Amazon, this set combines Real Cooking’s Ultimate Baking Set and their Princess Cakes Baking Set to create the Ultimate Princess Baking Set. 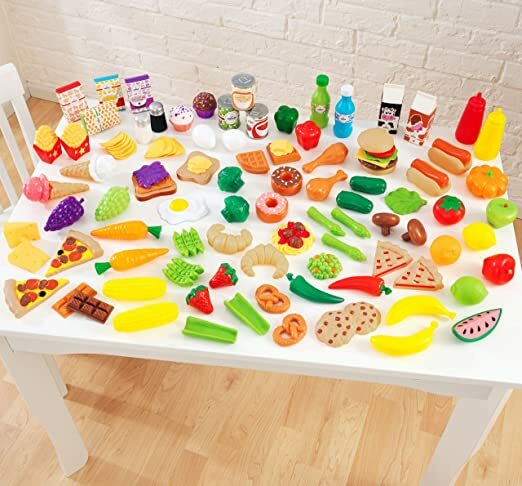 The utensils are made especially for kids and include an egg cracker, no spill bowls, silicone trays and more. There’s even mixes, frosting and sprinkle decorations included so all you need to do is add eggs and milk. This would be a great item to grab for a fun activity with your kiddo! On Amazon.com you can now get this Step2 Euro Edge Kitchen for just $119.99 shipped (regularly $199.99) – lowest price ever! This play kitchen features an oversized refrigerator with a see through panel and LED lights so your kiddo can see all of their ingredients. It has a glass-style stovetop burner, clicker knobs, and a see through oven window! Even better, there are 31 accessories included! 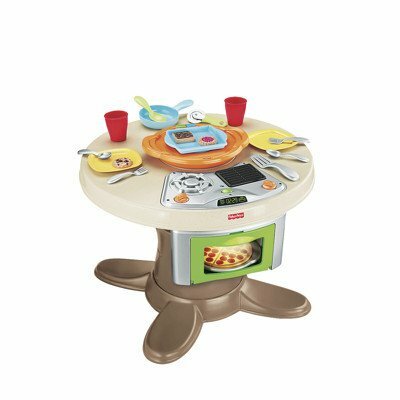 Walmart.com where you can buy this Little Tikes Cook With Me Kitchen for only $40.99 shipped (regularly $79.97). 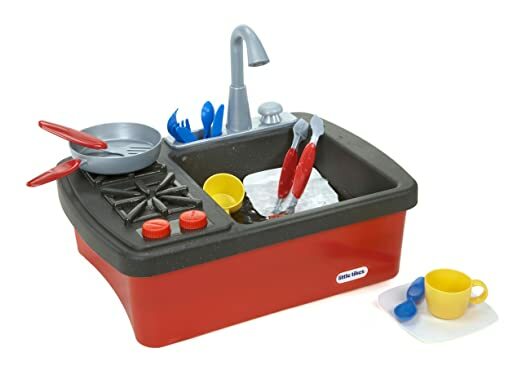 This kitchen features real cooking and water boiling sounds and comes with 20 accessories including recipe cards, pot, pan, food, cups, plates and more! 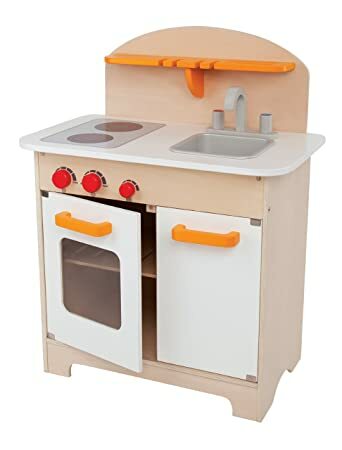 On Amazon.com you can now buy this highly rated KidKraft Grand Gourmet Corner Play Kitchen for just $99.87 shipped (regularly $199.99)!